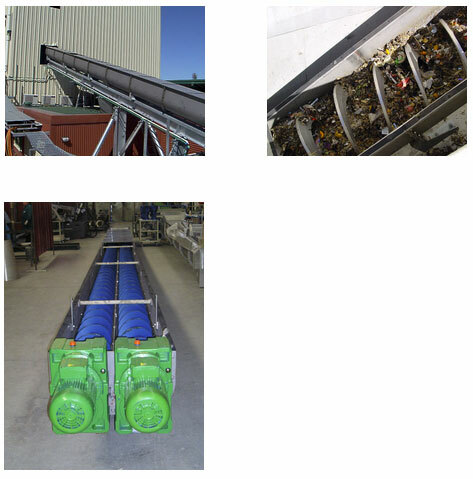 STS-type Shaftless Spiral Conveyors follow the principle of traditional shaftless screw conveyor design. The shaftless spiral is driven by a direct drive without the need for hanger bearings. Lengths of up to 40m are achievable without hanger bearings. Our technology is in the design of a very high tensile strength spiral which allows us to manufacture shaftless spirals of up to 700mm in diameter. The shaftless spiral runs on either special ultra high molecular weight polyetheylene liner with strong wear resistant properties. These are available with wear indicators. 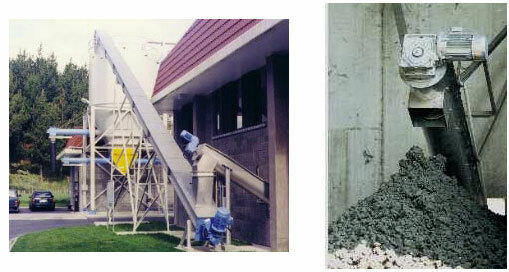 Alternatively for very abrasive material such as sand/grit stainless steel bars are used. The liners are long life and easily replaceable.